CHED Regional Director Calagui came from the imperial Manila and managed the CHED National Capital Region (NCR) where people are highly competitive. 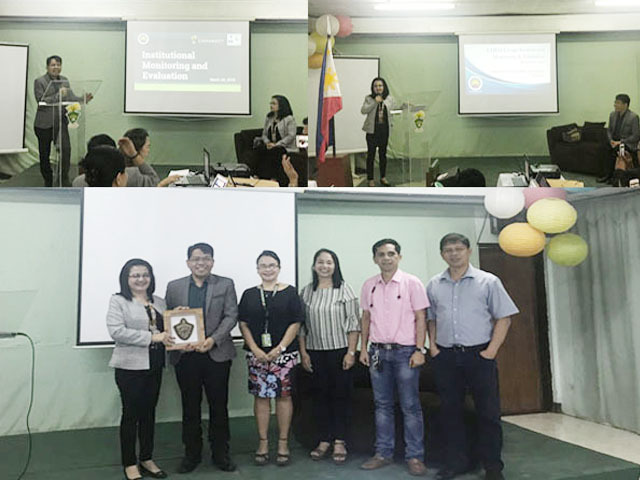 RD Calague expressed her immense dedication and commitment to help uplift the social development of the people of Caraga Region thru the CHED mandate. She put emphasis on the core values of CHED CARAGA- Character, Accountability, Resilience, Agility, Goodwill, and Adaptability. CSU President Penaso remarked how CSU appreciates how CSU is seen from the lens of the external public, especially that of CHED. CSU practices the culture of excellence and growth mindset and adheres to the Commission on Higher Education rules and standards and even goes beyond what is expected of it being a state University of quality. The Commission on Higher Education takes charge in promoting relevant and quality higher education, ensuring access to quality higher education, and guaranteeing and protecting academic freedom for continuing intellectual growth, advancement of learning and research, development of responsible and effective leadership, education of high level professionals, and enrichment of historical and cultural heritages.